We maintain our high quality standards and service which we provide. Our team of highly skilled mechanics offer a comprehensive range of garage services for all makes and models of car and light commercial vehicles. We also offer a local collection and delivery service. We are a forward looking company and try to keep abreast of all new technology, with no job too big or small for us to complete. We speak in plain English - not technical speak - so you remain up to date and you'll know exactly what work we are doing, why we are doing it and how much you can expect it to cost. We'll keep you informed whilst working on your vehicle, so if any other issues arise during work being completed on your car, we will contact you to discuss the problem and we NEVER start additional work until you are happy and understand the issues. We have a no nonsense approach to the vehicle repair business and keep things as simple as possible. So if you're looking for help with MOT repairs, car servicing or engine diagnostics, don't hesitate to contact us today. 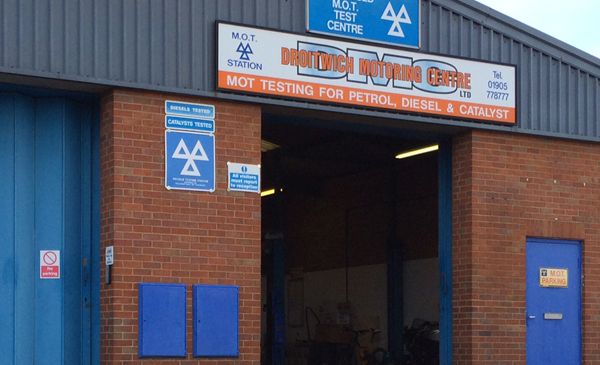 When you're looking for an MOT garage in Droitwich and the surrounding areas, look no further than Droitwich Motoring Centre Ltd.